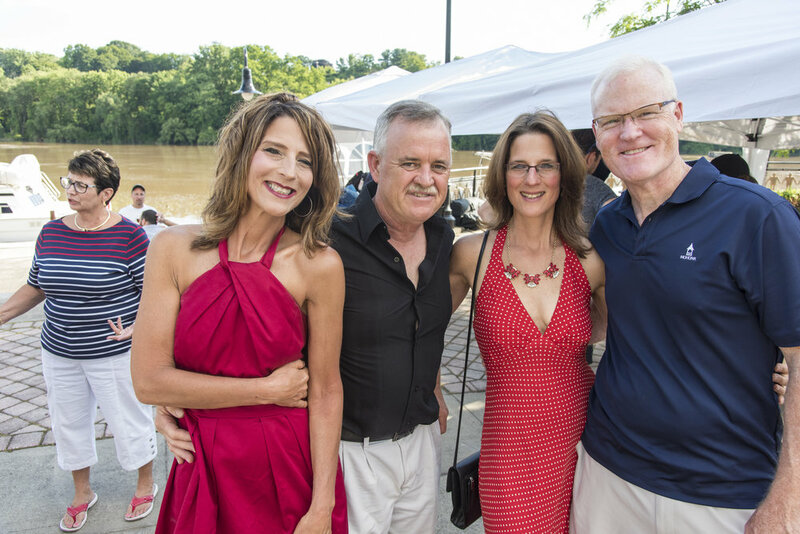 Follow our historic week-long bicentennial journey down the Erie Canal! 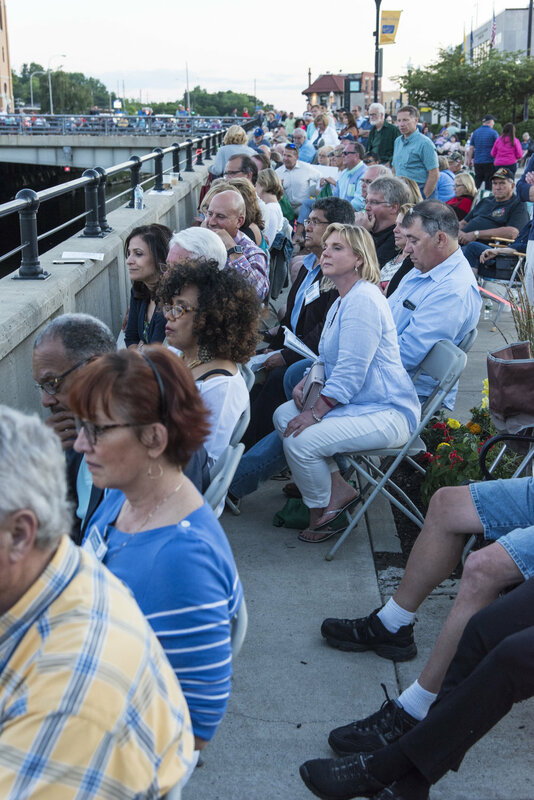 Water Music NY kicked off at Jennings Landing in Albany, just a few hundred yards from the original eastern terminus of the Erie Canal. 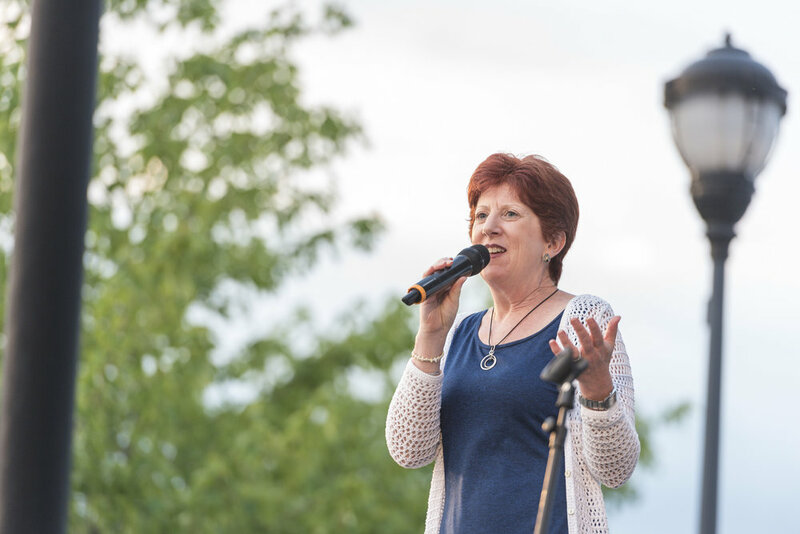 Albany Mayor Kathy Sheehan attended this kick off event and spoke before the concert. 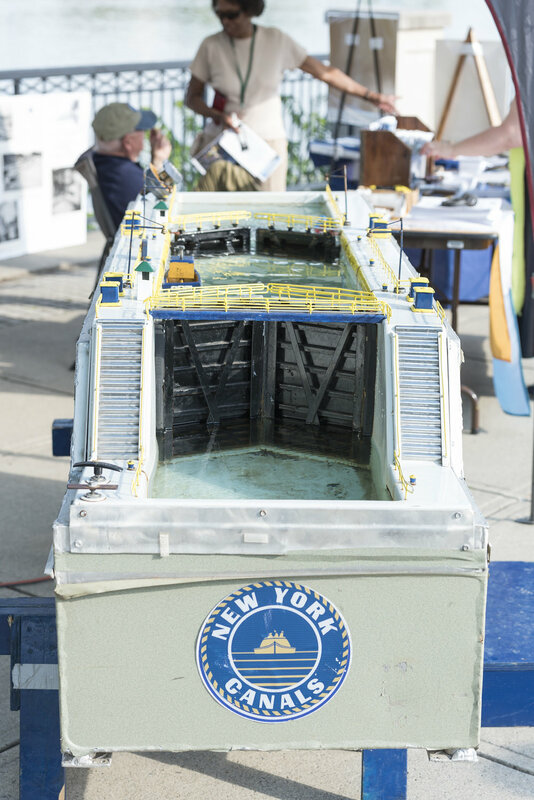 The Canal Corporation provided a close up demonstration to show how boats travel through the locks. 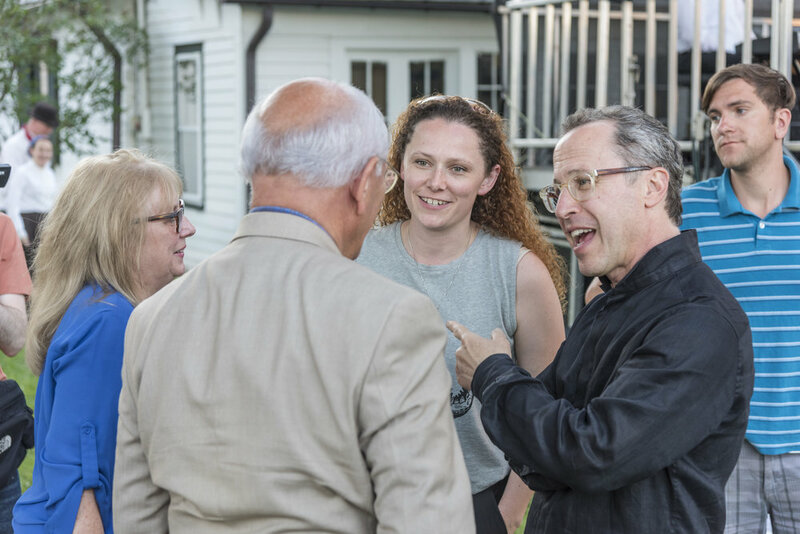 Daniel Schlosberg premiered his four movements of Canal Songs, with John Daugherty (baritone), Annika Socolofsky (soprano), and Briana "Bree" Hassell (spoken word). 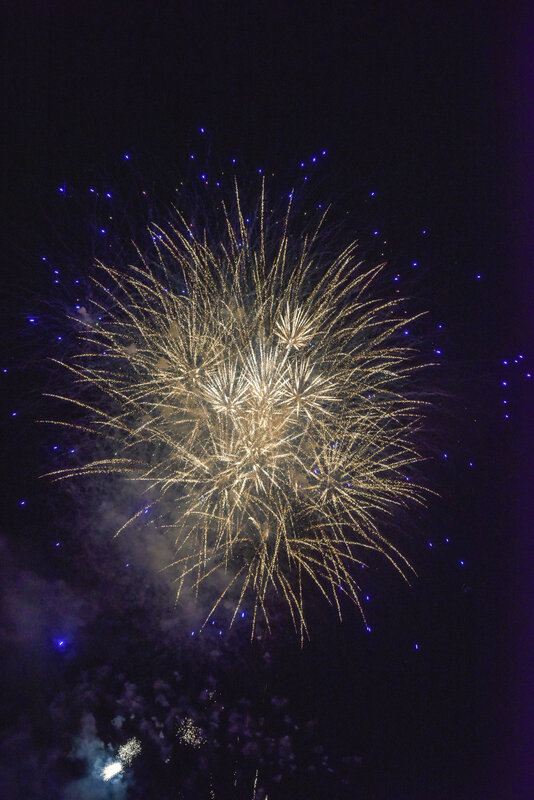 A close up look at a mock lock. 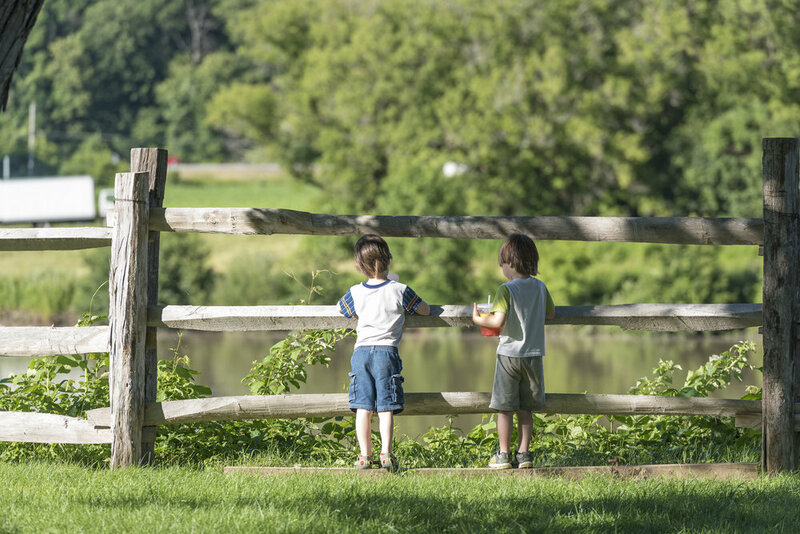 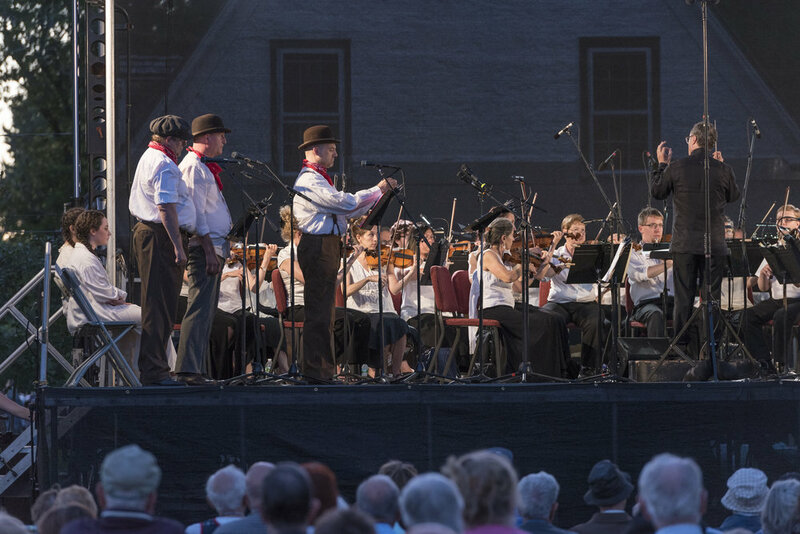 Water Music NY continued the next day in Schenectady at Mabee Farm Historic Site, the oldest standing and workable farm in the Mohawk Valley. 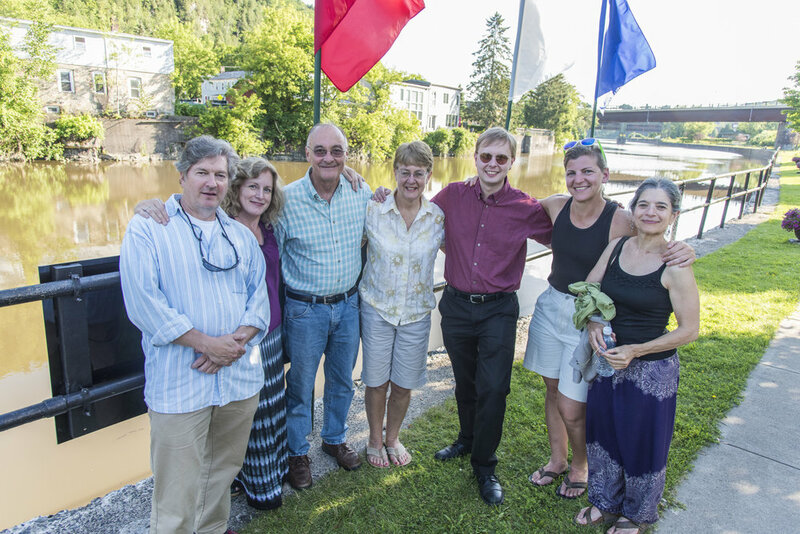 Some of the Albany Symphony musicians took a historical boat ride before the concert. 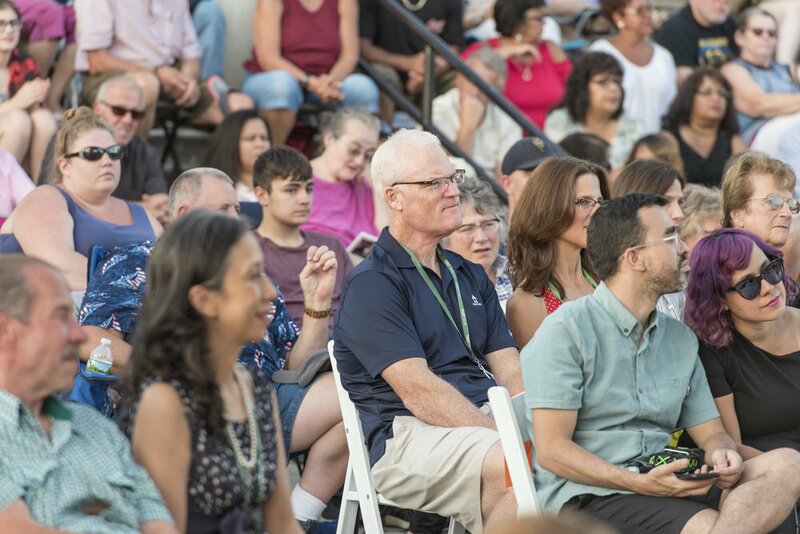 An incredible audience of over 5,500 people attended, leaving limited available seating on the lawn. 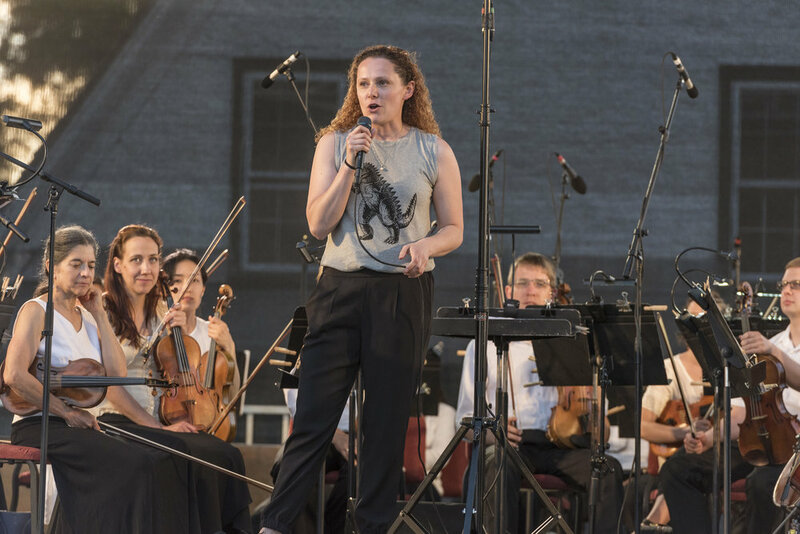 Annika Socolofsky premiered her quintet of movements in Beyond The Pines, in collaboration with the Capital Repertory Theatre. 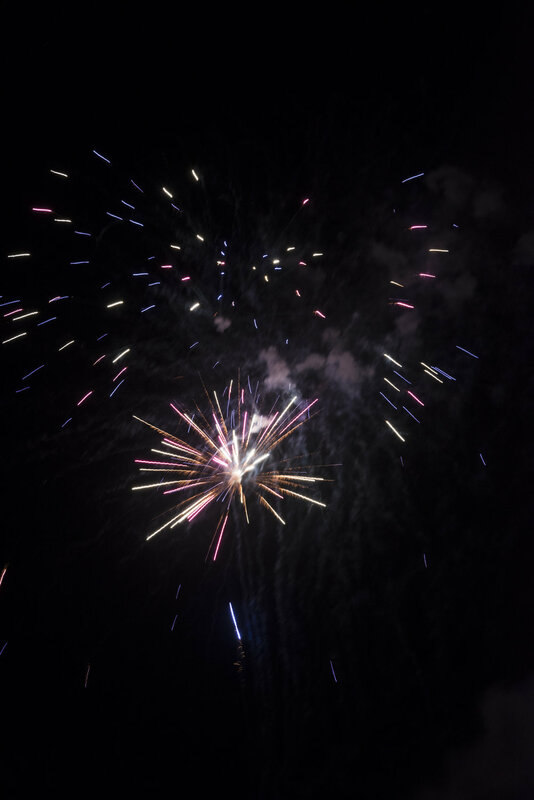 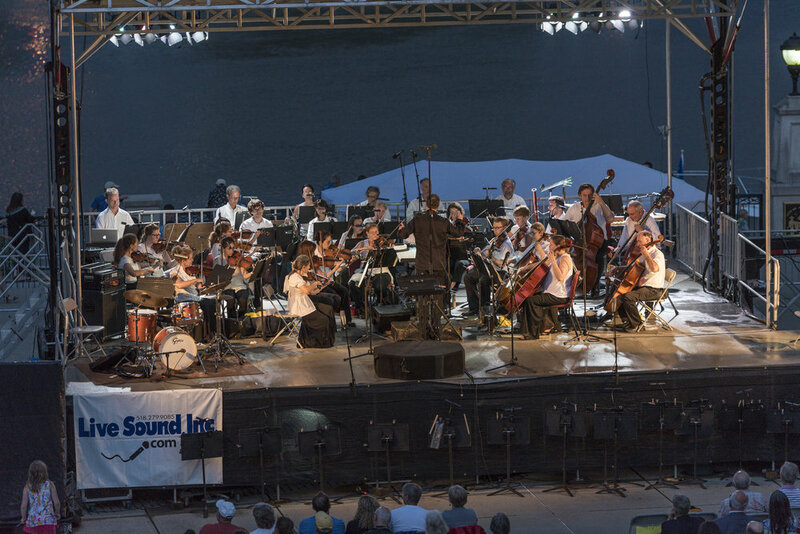 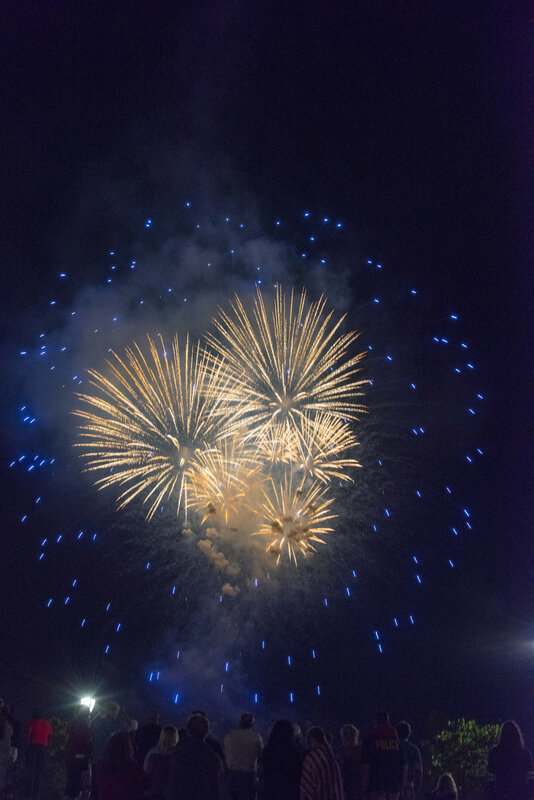 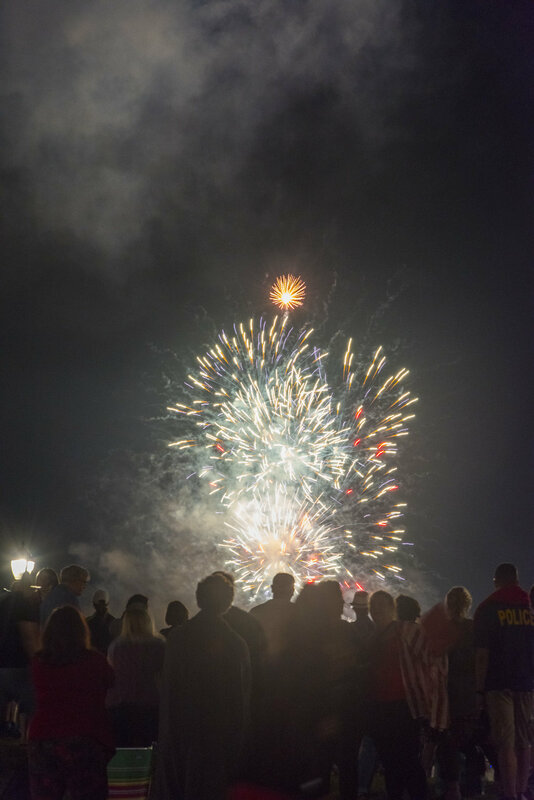 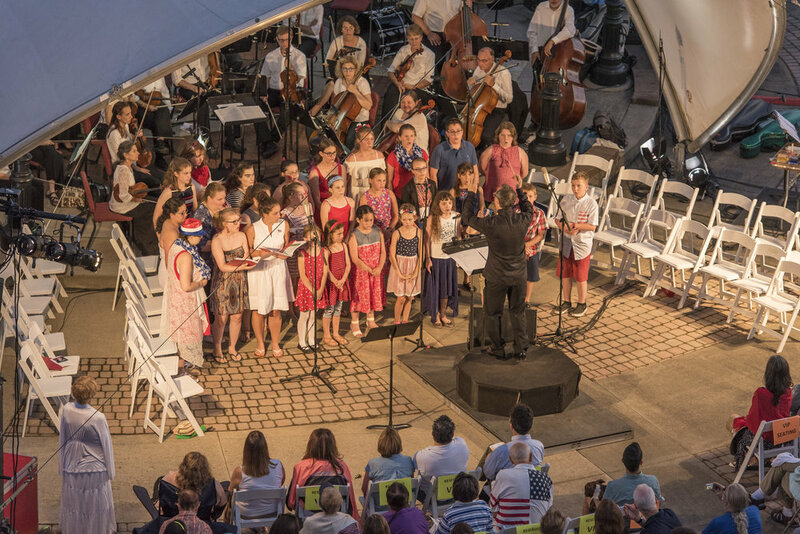 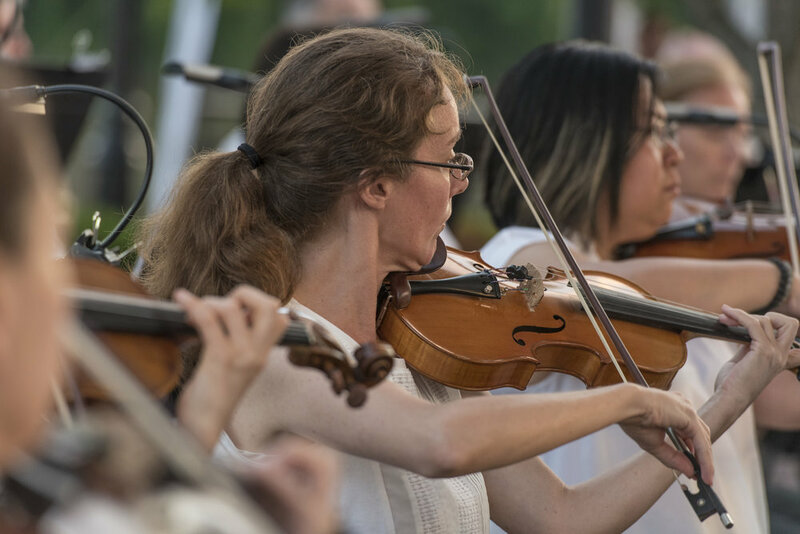 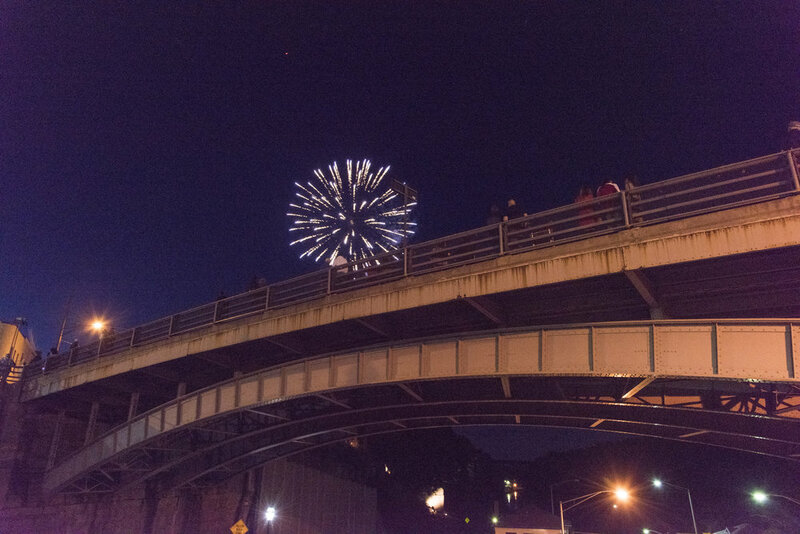 Riverlink Park in Amsterdam was the next location to host Water Music NY for another waterfront concert on the Fourth of July! 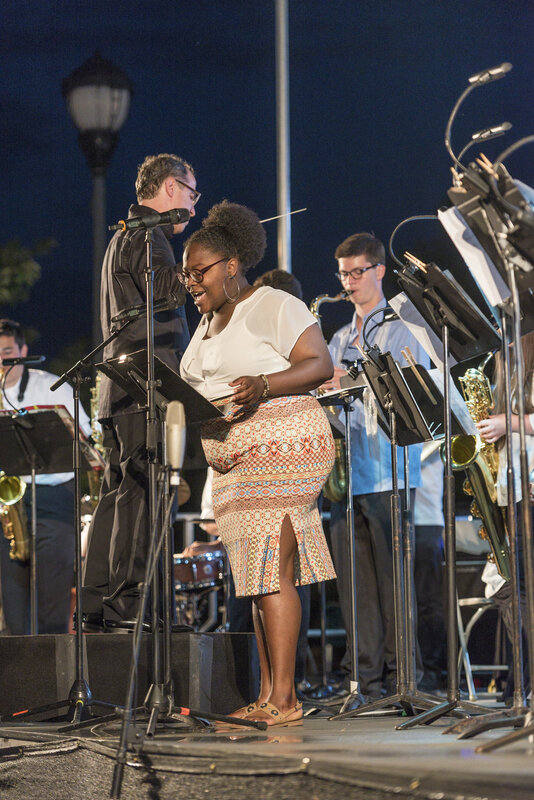 Alex Torres and his Latin Kings livened up the crowd with some pre-concert salsa music and dancing. 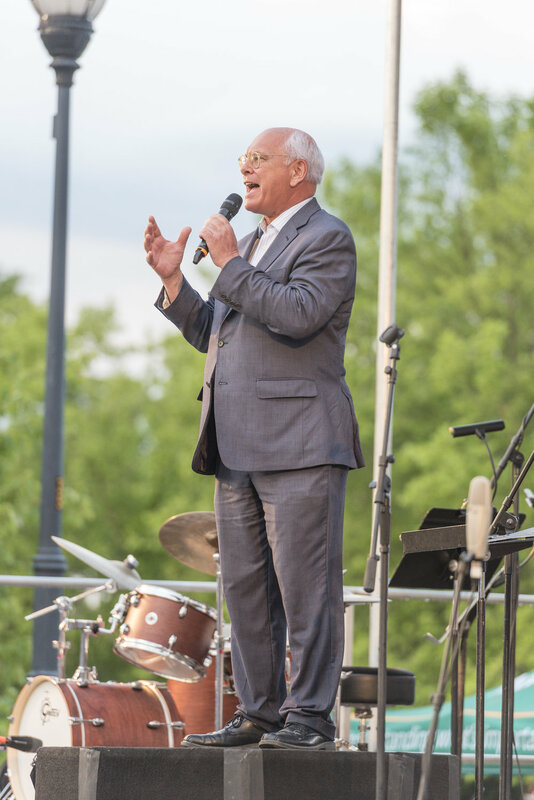 Congressman Paul Tonko, a native to Amsterdam, spoke before the concert -- and also attended the first four Water Music NY concerts! 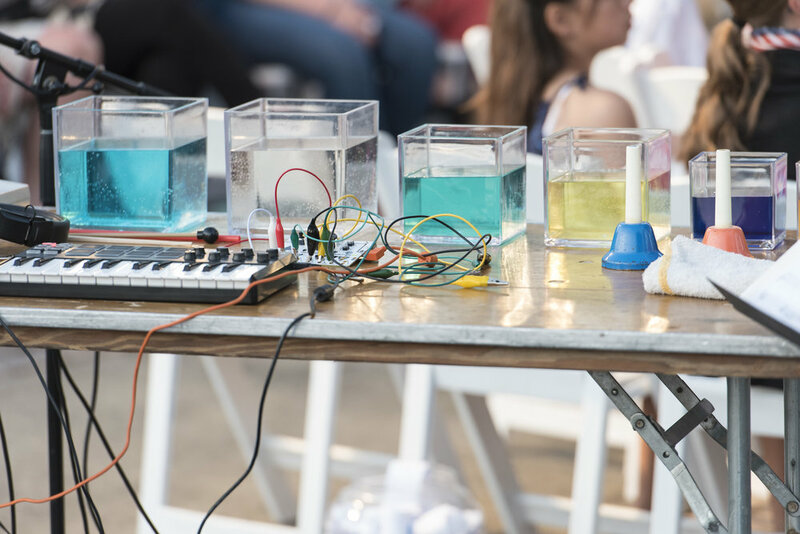 Angélica Negrón premiered her five-part composition, Mapping, which featured a Water Synthesizer: six acrylic vases, each filled with colorful water, played as an electronic musical instrument. 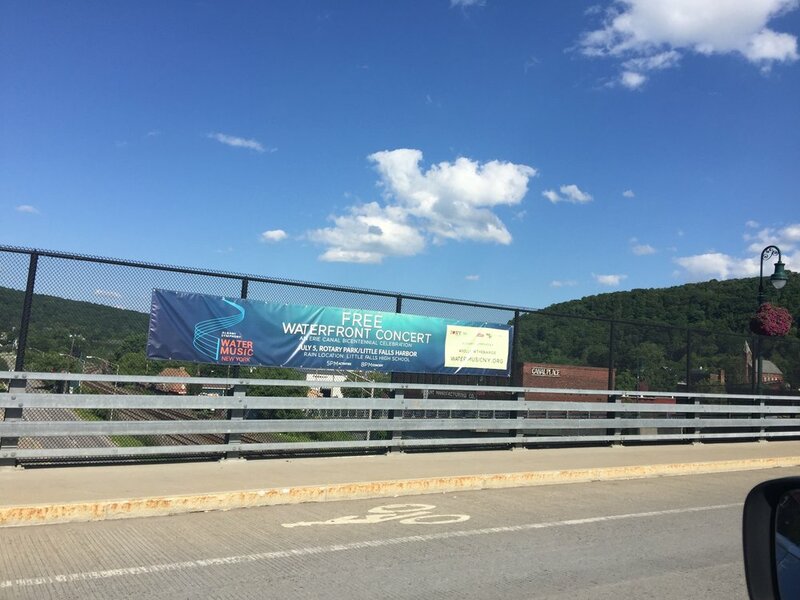 Next stop was Canal Place in Little Falls, home to the Mohawk Valley Arts Center and Lock 17 -- one of the highest historic lift locks in the state! 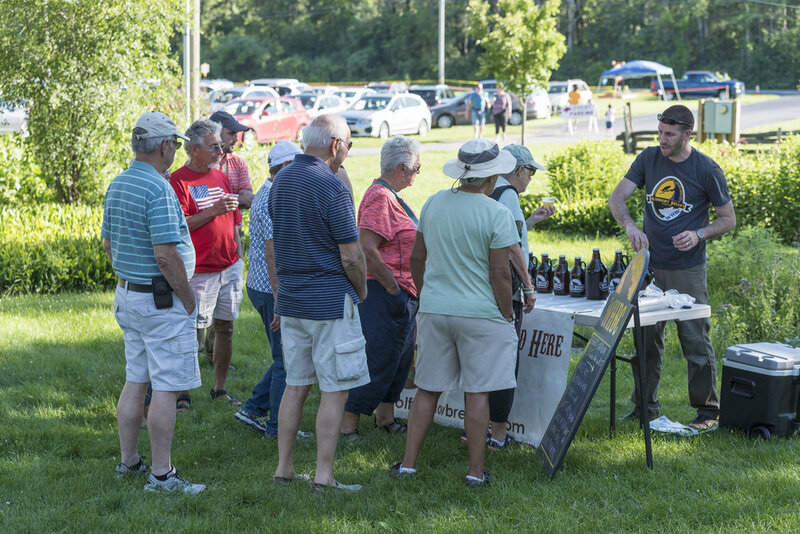 Local vendors and artisans showcased their talents, including beautiful artwork, homemade goods, tasty treats, and more! 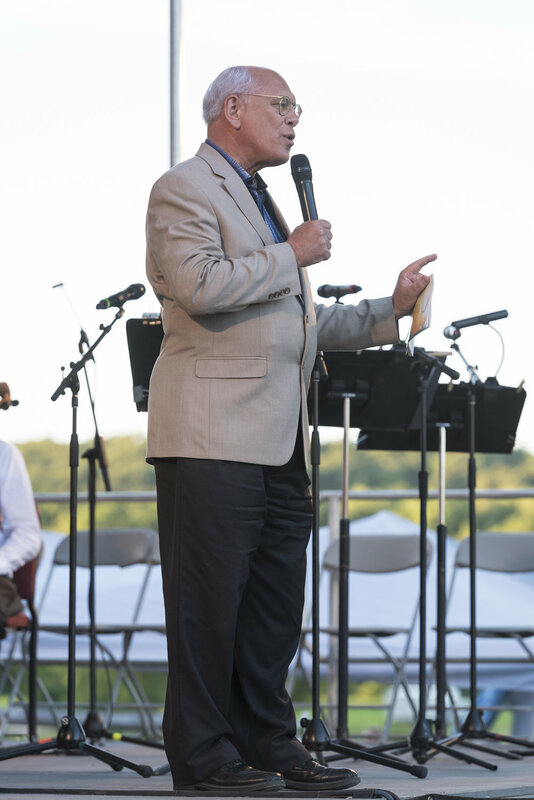 Little Falls Mayor Mark Blask attended and spoke before the concert. 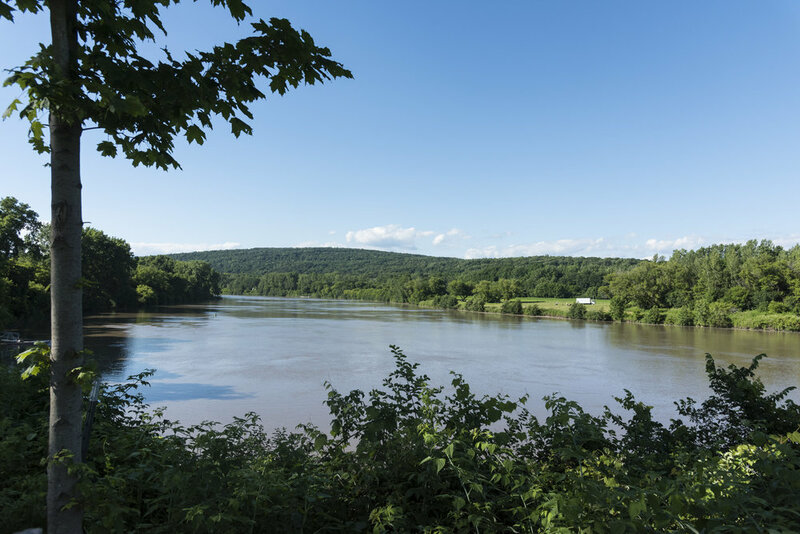 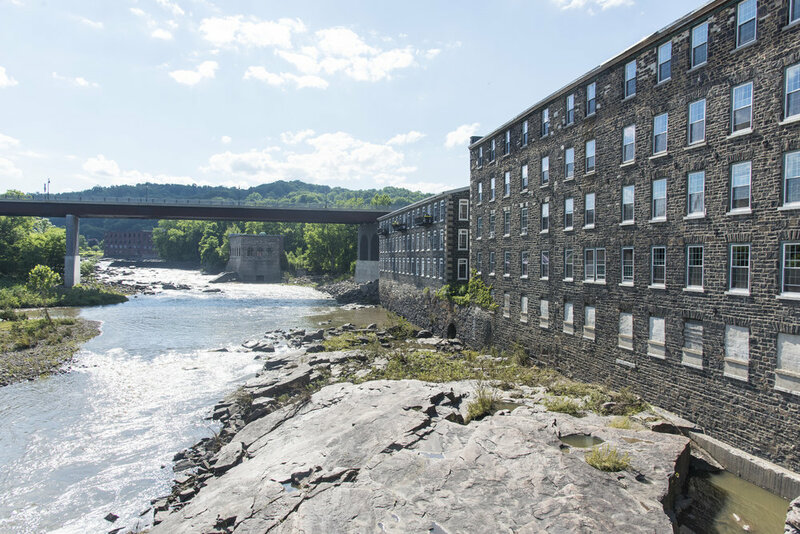 Ben Wallace premiered his two movements of The Little Falls Lock, inspired by the 1912 Little Falls textile workers strike and the Herkimer Quartz, or, The Little Falls Diamond. 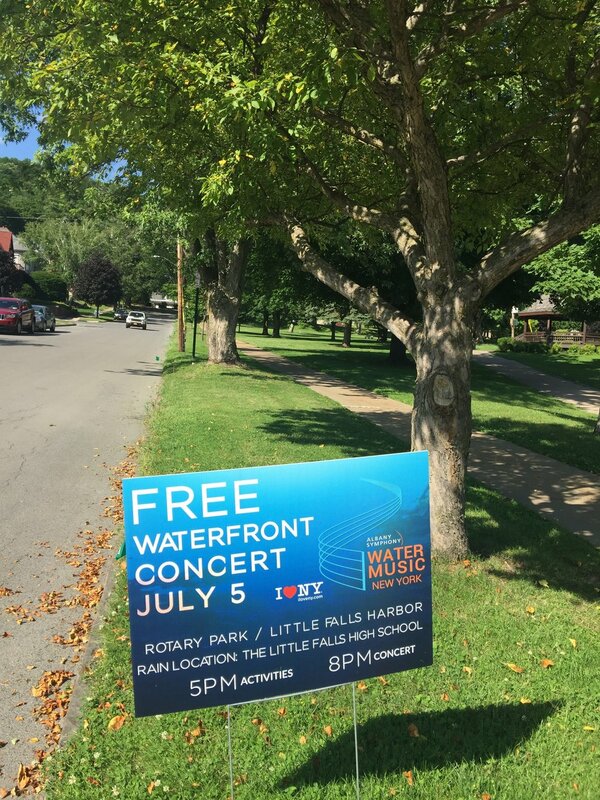 Water Music NY continued the next day on Paper Mill Island in Baldwinsville, located right next to Lock 24. 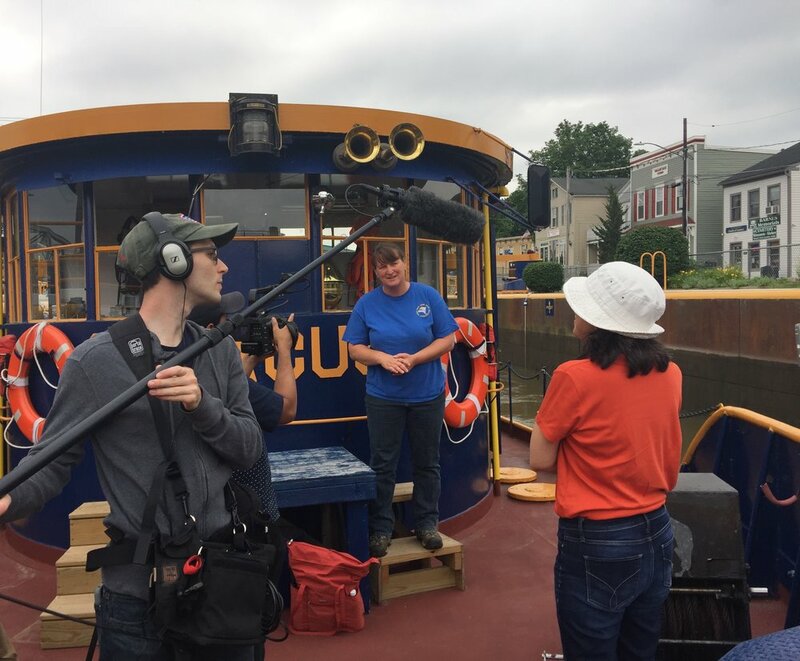 Members of the Albany Symphony staff and the Water Music NY camera crew were taken on an early morning tugboat ride, aboard Tug Syracuse with Captain Wendy as their tour guide. 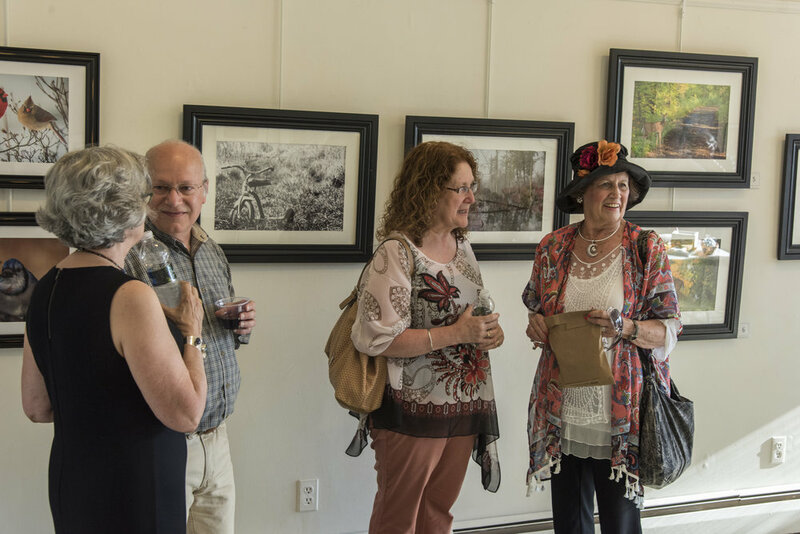 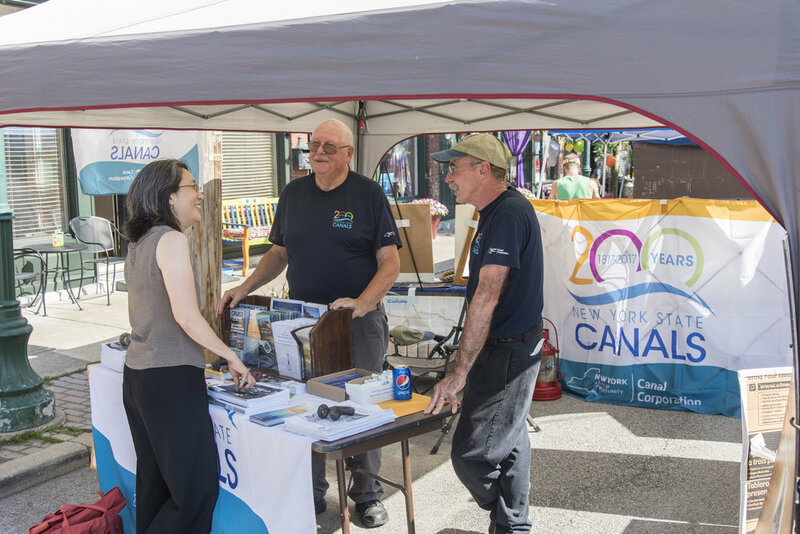 Over 50 vendors and artists participated in the Baldwinsville Canal Arts Festival, featuring paintings, jewelry, delicious food, and so much more! 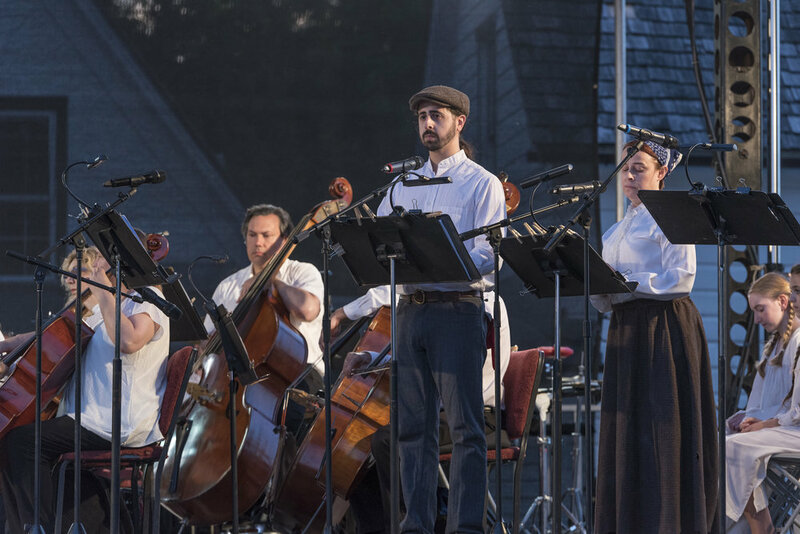 Ryan Chase premiered his two-part composition, The Current Home, inspired by the families of Baldwinsville who live there, as a result of the Erie Canal's great impact. 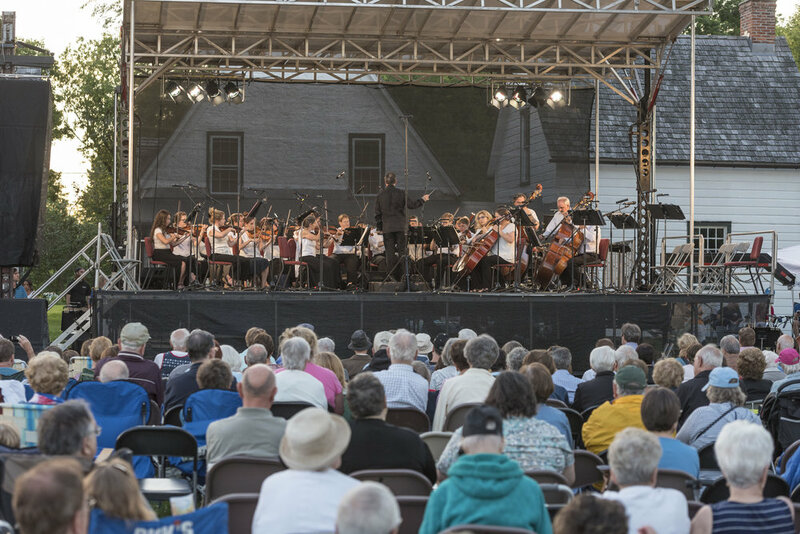 Our second-to-last concert stop was at the Brockport Welcome Center, located right in the center of town. 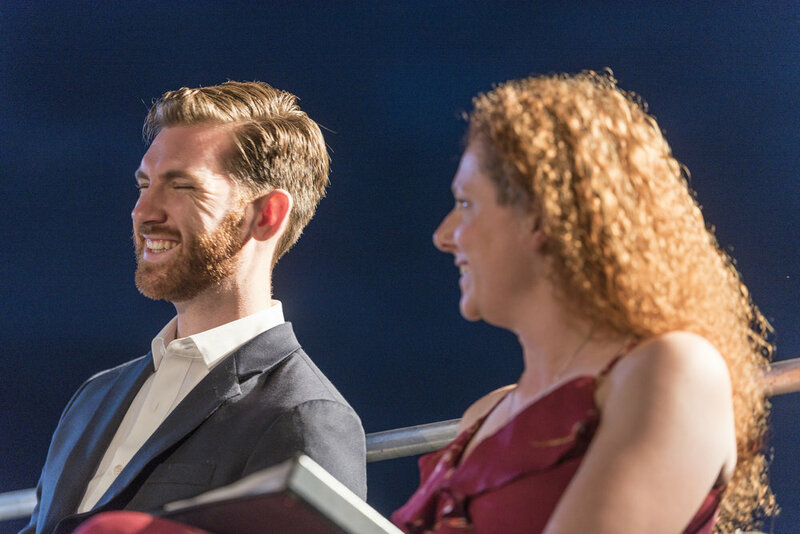 We welcomed our audience to the first BARGE performance of Water Music NY!! 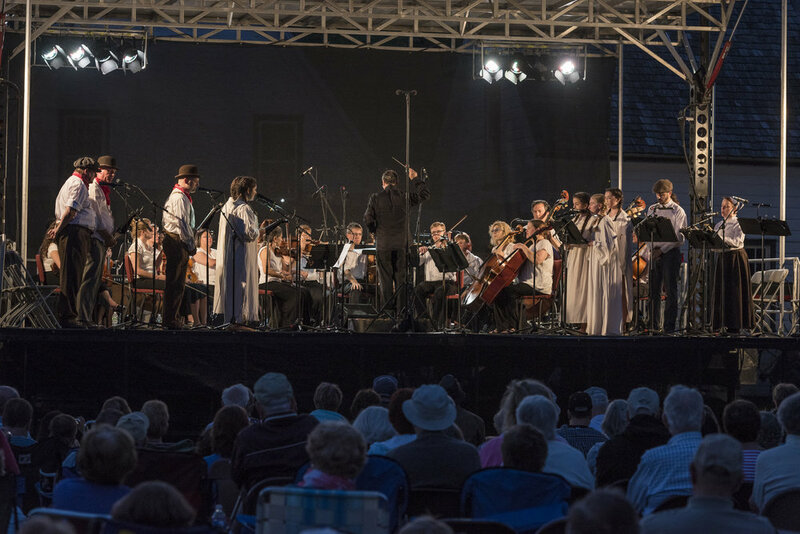 Brockport Mayor Margaret B. Blackman and Mara Manus, executive director of New York State Council on the Arts, both attended and spoke before the concert. 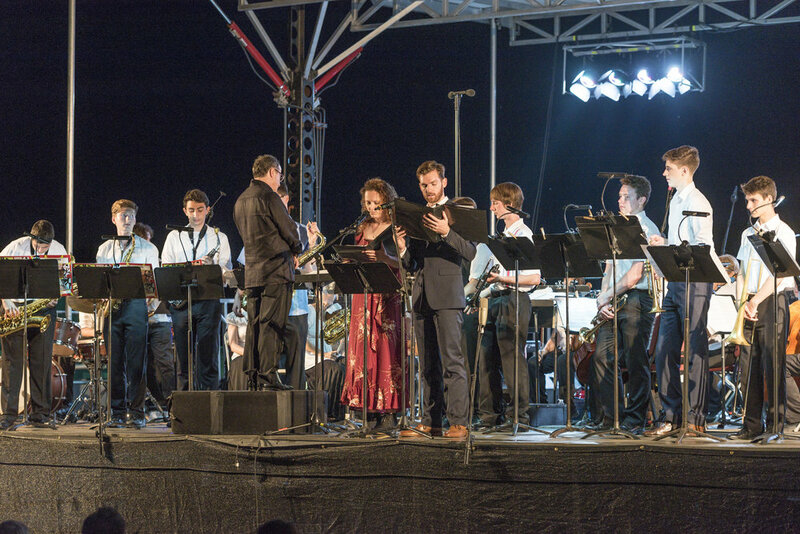 Loren Loiacono premiered her three movements of Canal Tales, performed in collaboration with the Golden Eagle String Band and Mariah Maloney Dance. 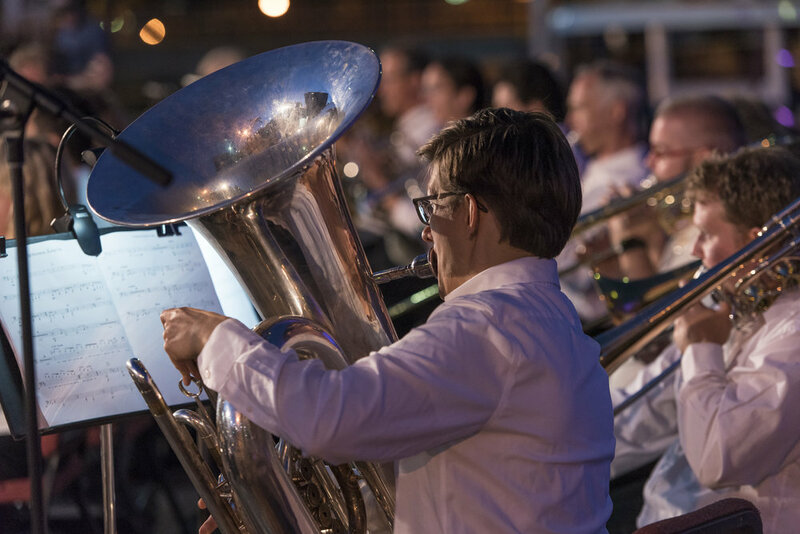 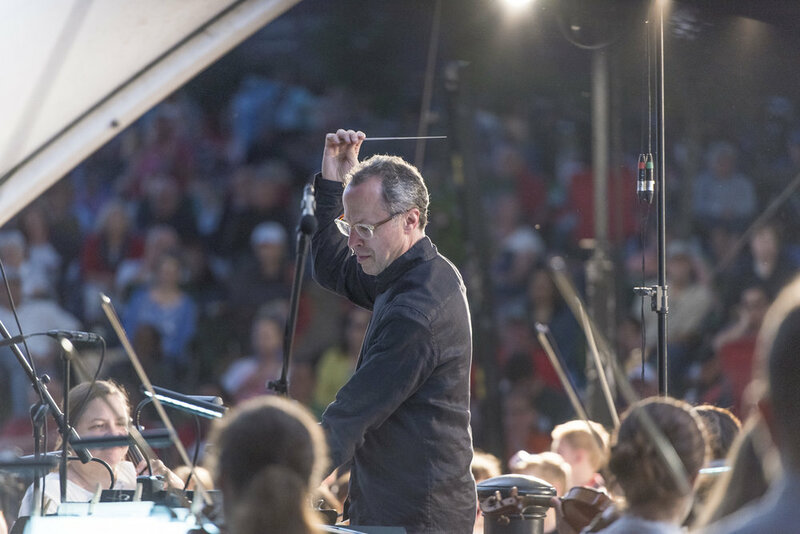 Our last and final Water Music NY performance was at the World-Renowned Historic Flight of Five Locks and the Symphony performed on a barge IN the lock!! 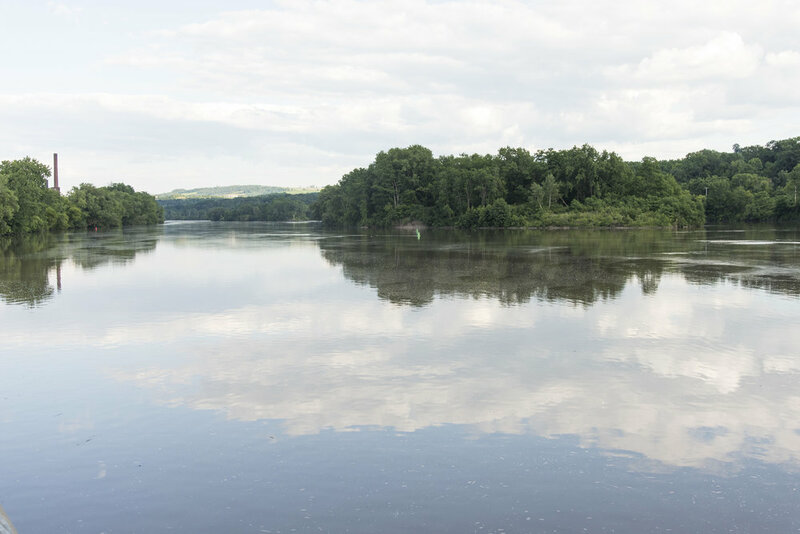 The barge was brought into the lock, that afternoon, by the mighty Tug Pittsford! 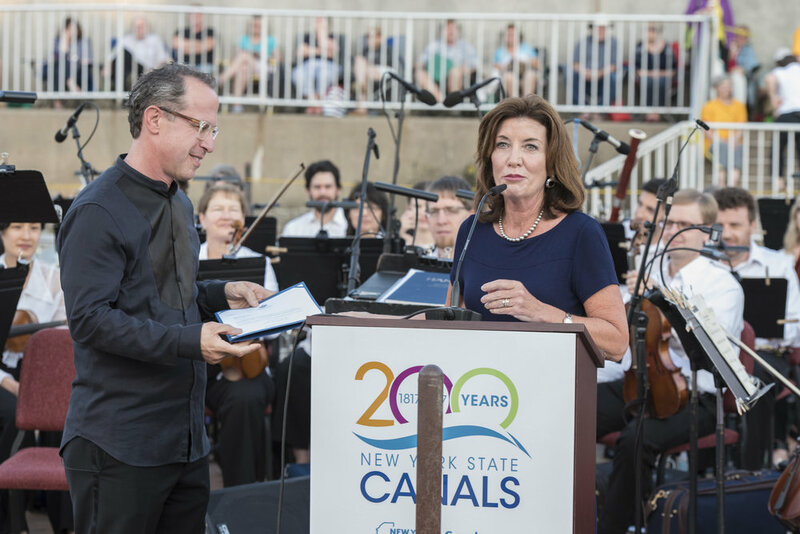 NY State Lieutenant Governor Kathy Hochul conducted the Symphony for "The Stars and Stripes Forever"! 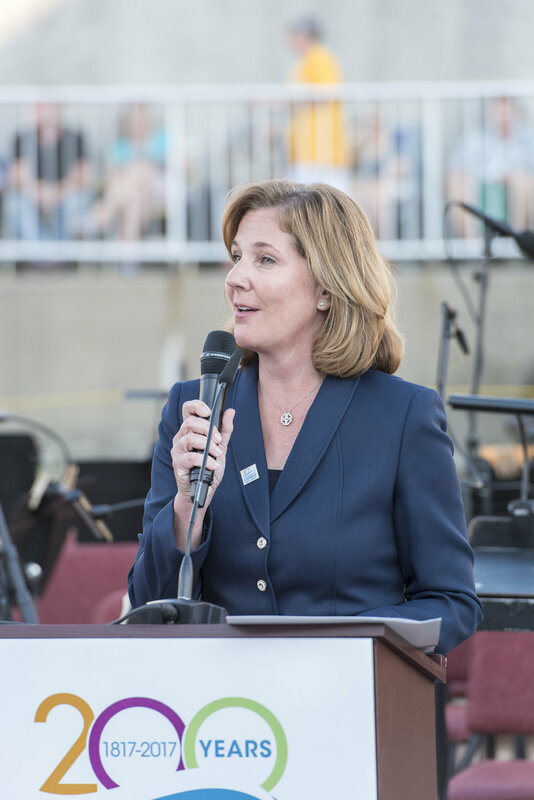 Lockport Mayor Anne E. McCaffrey attended and spoke before the concert. 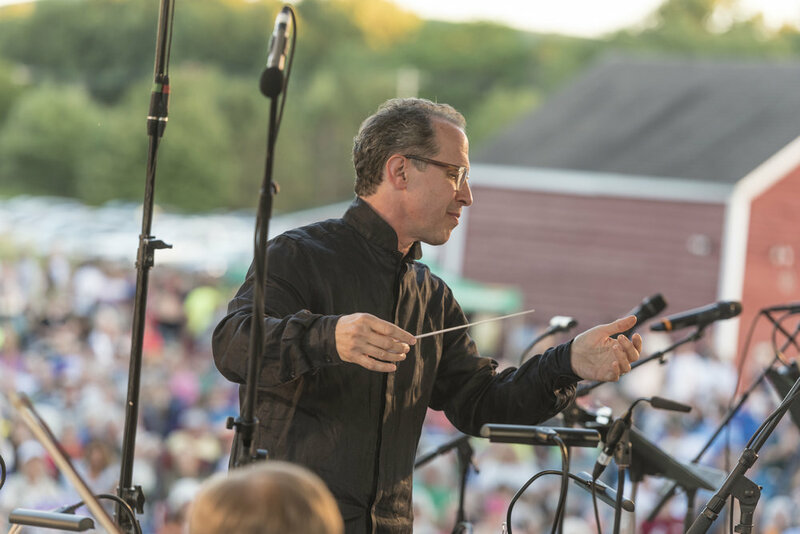 David Mallamud premiered his operetta, Spittoonia on the Erie (An Absolutely-Historically-Accurate-Except-Nathan-Where-It's-Not Folk Opera in One Act), a spinoff of the fairy tale, Cinderella. 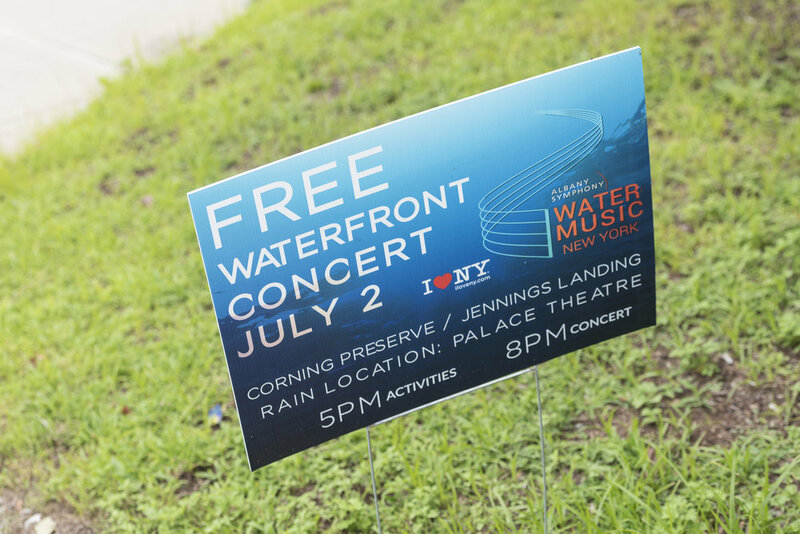 Thank you to the following sponsors for their generous support of Water Music NY.